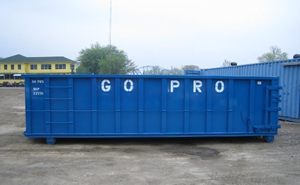 At Go Pro Waste Services we offer affordable pricing, fast delivery and customer service that’s second-to-none. We are the premier dumpster rental provider serving Jersey City, Paterson, Newark and East Orange, and surrounding cities. We have residential and commercial dumpsters available to rent. "Go Pro is the only way to go!" Affordable, Reliable Dumpster Rental in Jersey City, NJ. Rent our 12, 15, 20 and 30 yard containers for your next home remodel or commercial project. 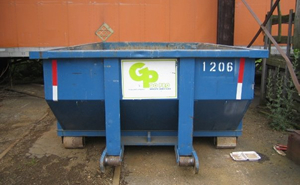 We have a large stock of roll off dumpsters ready to be delivered to your home, job site or business. Let our dumpster rental experts help you choose the right container based on the type and size of your project. Call (973) 302-4880 today! 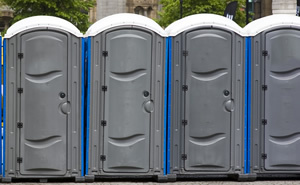 Go Pro is a preferred supplier of portable toilets to the construction industry and public events in New Jersey. When you rent from us you can expect dependable delivery and professional service. Let our friendly staff answer any questions you may have concerning rental of portable toilets in Jersey City or any nearby city in New Jersey. If you are looking for a temporary fence solution then Go Pro fence panels are the answer. 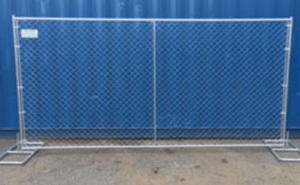 Our temporary fencing is sturdy, easy to install on a variety of surfaces, and you can easily reposition them for extended use if needed. They are great for construction sites, home developments, highway projects, store front renovations and much more!